When you visit your dental office in Bel Air, MD to receive treatment for a cavity, there are times when your dentist may recommend a root canal . Continue reading to learn more about this commonly performed dental procedure. Cavities occur when bacteria cause damage to the surface of a tooth and begin to penetrate the enamel. When left untreated, a dental cavity can become severe enough that bacteria can make their way into the tooth. Once a tooth becomes infected, the tissues inside can become inflamed. The swelling can cause the individual a great deal of discomfort which is frequently what leads them to see a dentist for treatment. In addition to cavities, cracked and broken teeth can also be vulnerable to infection. Once a tooth is infected, parts of it can become damaged and, in some cases, the swelling prevents proper blood flow to the tooth which can kill the tissues inside. When you visit your dental office for a toothache, your dentist will examine your mouth, and he may also take X-rays of the painful tooth to get a better look at the extent of the damage. Depending on how big the cavity is or what damage the infection has caused, your dentist may tell you that you need a root canal. Root canals are safe procedures that are frequently performed in dentistry, and they can provide patients with relief from the pain that they are experiencing while avoiding the need to extract the tooth. First, your dentist will numb the area. Next, he will drill a hole into the tooth to remove the infected tissues inside. Then, he will treat the infection, clean out the tooth, and fill the canal with a special type of tooth filling material. Finally, your dentist will use a filling or a crown to seal the tooth and restore its dental function. The site may feel tender for a few days, but patients usually feel much better following their root canal procedure and can enjoy restored function of their tooth. Everyone wants a bright and beautiful smile, so it’s no surprise that professional whitening is one of the most commonly performed procedures in cosmetic dentistry. If you’re thinking about seeing a dentist for tooth whitening in Bel Air, MD , then continue reading to learn the answers to common questions about this treatment. Why is professional whitening better than other options? The greatest benefit that you’ll gain by seeing a dentist for tooth whitening is speed. Unlike over-the-counter kits, professional whitening uses a stronger formula that can provide you with a noticeably whiter smile in a single treatment. At-home kits that you can pick up at the drugstore often take a week or longer to provide noticeable results. What happens during teeth whitening? When you visit your dental office for professional tooth whitening, your dentist will have you wear a tray during the treatment that will cover your teeth with a specially formulated whitening gel. Also, your dentist may use a type of light to enhance the whitening effects of the gel. These appointments typically take about an hour. The answer to this question depends on a number of factors. How well your teeth take to the treatment and how much enamel they have can affect how long your results last. Also, your oral hygiene practices, dietary choices, and lifestyle habits can influence how long your tooth whitening results remain noticeable. How can I make my results last longer? Luckily, there are a number of steps that you can take to help retain your tooth whitening results. First, avoid eating or drinking any items that can stain your teeth, such as coffee, tea, soda, berries, and anything tomato-based. 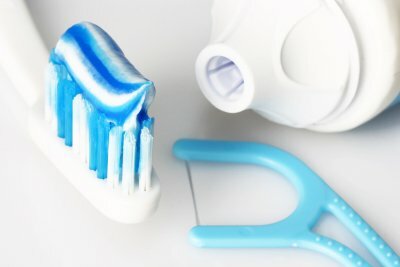 If you do choose to eat and drink these items, be sure to rinse your mouth or brush your teeth afterward. Finally, keeping up with twice-daily tooth brushing and biannual dental cleanings can help prevent stains from building up on your teeth. Children should have their first visit to a dental office once a tooth comes in or before their first birthday to allow dentists to check the growth and development of their teeth. This initial visit is important because, as soon as her first tooth appears, it can develop a dental cavity. When you are scheduling the appointment with a pediatric dentist in Bel Air, MD, try to select a time when your child tends to be more cooperative. For many children, morning appointments work best. On the day of her appointment, provide her with a light meal, but avoid giving her snacks in the waiting room, as this can make the examination more difficult since she is likely to have food on her teeth. 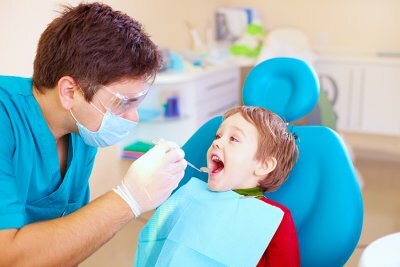 Finally, if you have dental insurance, contact your provider to ensure that your child is included in the plan before her pediatric dentist appointment. If you’re like most people, then you dislike hearing that you have a dental cavity when you visit your dental office in Bel Air, MD for a check-up. Luckily, preventing the need for tooth fillings and other restorative procedures can be as simple as practicing good oral hygiene. At home, dental care begins with keeping your teeth clean. To do this, use a toothbrush that has soft or medium-strength bristles, and switch to a new toothbrush once every 3 months. Brush your teeth twice per day for a full 2 minutes using a fluoride-containing toothpaste. Also, floss your teeth at least once per day, ideally before bed, to help dislodge any food that may be stuck between your teeth. In addition to keeping up with brushing and flossing, scheduling regular dentist visits is also an important part of dental care. See your dentist twice per year for check-ups and cleanings to help keep your teeth free of stains and tartar and to catch small problems before they have a chance to grow into bigger ones. Could Sugarless Drinks Hurt Your Teeth? You are probably aware of the problems that sugar can cause for your teeth and gums, but switching to sugarless drinks might not be the final answer for good dental care. Remember that you should be visiting your dental office in Bel Air, MD for regular appointments as well as practicing proper dental care at home. Check out this video clip to find out if sugarless drinks could be hurting your teeth. It is not uncommon to see advertisements for sugarless drinks that claim to be healthier than their competitors. However, switching to these sugarless drinks might not be the best idea for your dental care. Sodas, sports drinks, and other sugarless beverages might still contain acids that can attack your tooth enamel and cause decay; despite the way these drinks are advertised, this is not very friendly towards your teeth. Be sure to read the labels carefully and practice proper dental hygiene daily. What Are the Benefits of Orthodontic Evaluations for Kids? A lifetime of proper dental health starts when your teeth first grow in, and there are steps that you should take along the way. When you have children, you become responsible for your kids’ oral health and must make regular visits to the pediatric dentist in Bel Air, MD. If your kids’ dentist determines that your child suffers from malocclusions or other developmental issues, he or she might recommend orthodontic treatment. The quick and efficient discovery through evaluation can lead to timely treatment . Take a look ahead to learn about the dental care benefits that come along with early orthodontic evaluations. Top dental health in childhood paves the way for excellent oral health throughout the rest of your life. By taking your child to see the pediatric dentist for an orthodontic evaluation, you set your kids up for success. The early use of orthodontic treatments like braces and Invisalign can correct a serious problem early on, preventing it from becoming worse over time and causing additional complications. Your son or daughter can then move on from orthodontic treatment and enjoy a lifetime of proper dental health as well as the confidence boost that comes from a beautiful, healthy smile. There are so many dental treatments available in modern society that it can be easy to mix some of them up. This is especially true for treatments like porcelain veneers and dental Lumineers in Bel Air, MD, which have a number of elements in common. However, they are not identical treatments and are each more appropriate in certain situations. If you want to decide which of these cosmetic dentistry treatments is right for you, be sure to do some research and talk to your dentist. If you are interested in comparing porcelain veneers and Lumineers, read ahead. From implants and implant-supported bridges to dental bridges and composite fillings, many different types of cosmetic dentistry procedures share a wealth of similarities. However, porcelain veneers and dental Lumineers tend to be particularly easy to confuse. Both of these types of treatments are made with porcelain materials, and they both seek to cover parts of your teeth for a better aesthetic appearance. 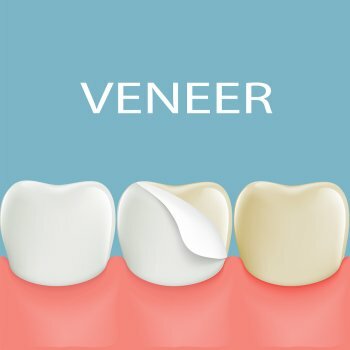 Veneers and Lumineers can both be used to cover cracks, gaps, and chips as well as stains and discoloration; some patients even use these treatments specifically for cosmetic purposes. Although porcelain veneers and dental Lumineers are made from similar materials and designed to treat similar conditions, they are not exactly the same. While porcelain veneers are thin shells for the teeth, dental Lumineers are even thinner. As such, Lumineers are typically used to deal with more minor imperfections than substantial changes. They also require the removal of a smaller portion of the tooth than porcelain veneers. Depending on the thickness of the tooth and the nature of the problem you’d like to correct, one treatment may be more appropriate than the other. It’s always a good idea to do some research when you are thinking about undergoing a certain type of procedure, but it’s important to talk with your dentist. Make an appointment with your dental office so your dental health professional can perform an evaluation. Porcelain veneers tend to be more applicable to those with more obvious problems, while Lumineers lend themselves to those with thinner teeth. When your dentist tells you to practice proper dental care in Bel Air, MD, you shouldn’t brush off this recommendation. 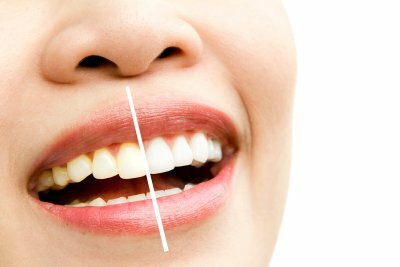 You should be flossing every day, brushing your teeth twice each day, and seeing your dentist on a regular basis for dental cleanings . Failing to do so can result in a wide array of problems that can affect all aspects of your health and well-being. Poor dental care can result in a reduced self-image, poor dental health, and problems with your general health. Keep reading and find out why it’s so important that you practice proper dental care. When you fail to brush and floss your teeth, visit the dental office, or take care of other dental care responsibilities, your smile might not look the way you want it to look. While this seems like a purely aesthetic issue at first, it can have real consequences on your mental health. People who are ashamed of their teeth may smile less frequently; since the brain and the body work in tandem, this lack of smiling can trick your mind into thinking you’re upset. Some people do experience anxiety and depression because of their self-image, and the smile is an integral factor. Some people who neglect dental care might not suffer mentally, but no one escapes the decline in oral health that comes with this neglect. The process of brushing your teeth helps to remove food debris, acids, and bacteria that could otherwise build up on your teeth. When they’ve built up long enough they can lead to decay and dental cavities as well as periodontal problems like gingivitis. When plaque hardens into tartar, you will need a professional dental cleaning in order to have it removed. In addition to impairing your self-image and dental health, neglecting your dental care can lead to problems with your general health. Oral health and general health are linked in a number of ways, and poor dental health has been associated with conditions like diabetes and heart disease. Make sure you take care of your oral health to stay in top shape. What Are the Signs of a Tooth Abscess? A tooth abscess can be a very painful condition. In this video, a dental care practitioner will explain some of the common signs and symptoms of an abscessed tooth. When you have an abscess, you may find that your tooth is very sensitive to hot or cold foods. You may also feel a dull, aching pain that throbs in your mouth. A dentist at a general dentistry office in Bel Air will be able to check your tooth for the signs of an abscess. 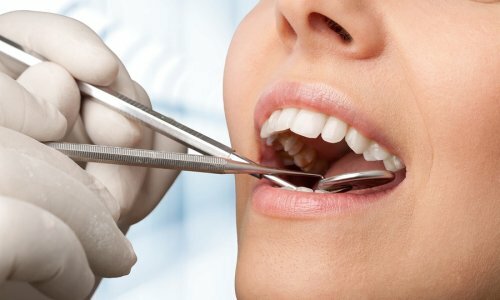 In the event that you experience an abscess in your tooth, you will want to visit your local dental office right away. With dental care services, you will be able to alleviate your pain and restore your tooth to perfect health. 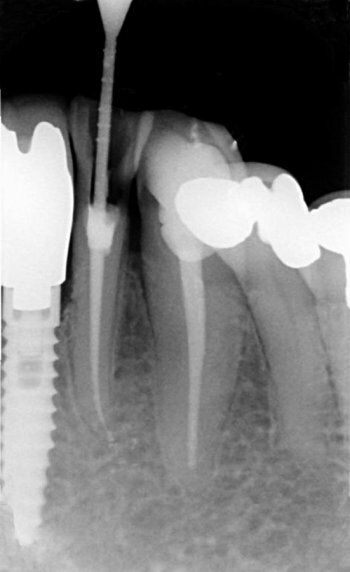 Your dentist will have the tools needed to remove the abscess and improve your overall comfort. If you have a chipped, broken, or missing tooth, you will want to make an appointment at a cosmetic dentistry office right away. An office that specializes in cosmetic dentistry in Bel Air will be able to provide you with beautiful dental implants that will completely transform your smile. 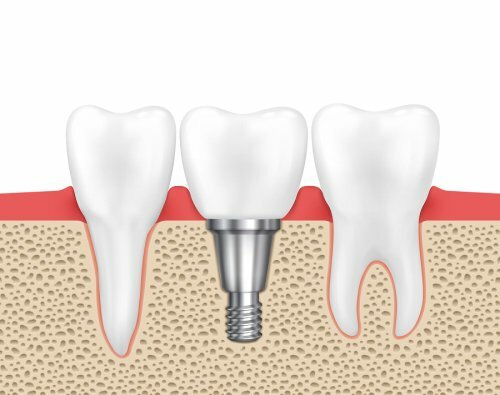 Like porcelain veneers and dental bridges, dental implants are used to replace or restore teeth that have become lost or damaged. There are several aesthetic benefits that dental implants have to offer you. With a new dental implant, you will enjoy a natural looking smile. Rather than having to hide your missing or broken tooth, you will be able to smile with total confidence. Dental implants also have the advantage of being matched to your natural tooth shape and color. After your procedure has been completed, it will be nearly impossible to tell the difference between your implant and your natural teeth.